Tostadas are a unique class of Mexican cuisine, in which a toasted ingredient is used as the base or as one of the ingredients. Enjoy the wondrous textures and flavours of authentic Mexican dishes like Tostadas and Double Decker Tostadas . 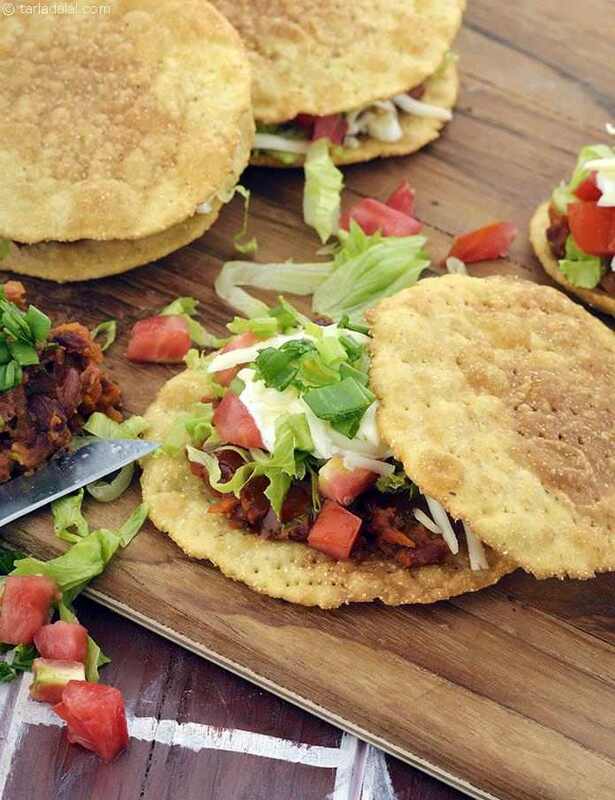 Tostadas : A whole crisp fried tortilla makes the bottom layer on top of which beans and cheese are piled high. The ingredients traditionally offer contrasts of soft and crisp, hot and cold, sharp and mild. While the Mexican put meat in their tostadas, this recipe uses cottage cheese.